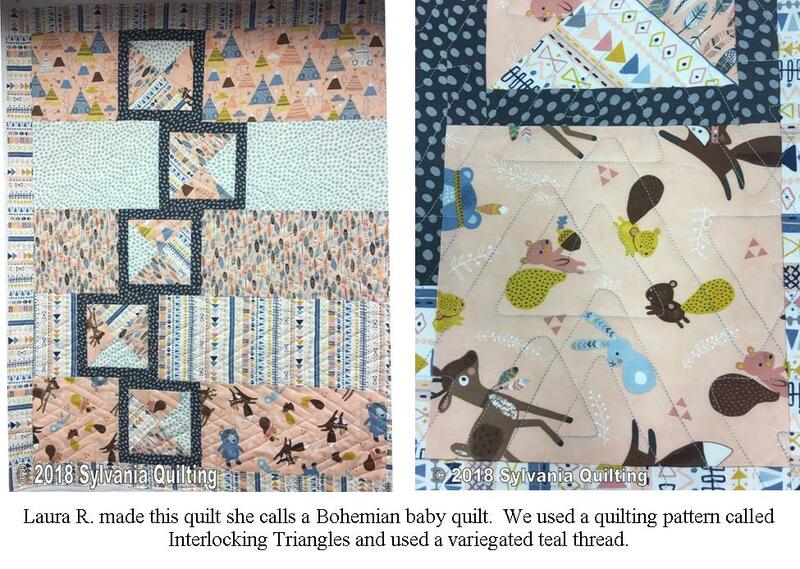 We are here to provide you with affordable professional quality machine quilting and custom made-to-order quilts. T-shirt Quilts - We start with your T-shirts, jerseys, and uniforms to create a beautiful and useful quilt that will last for a lifetime. Memorial/Clothing Quilts - We use your loved one's t-shirts	or other clothing	to create of quilt in memory of them. 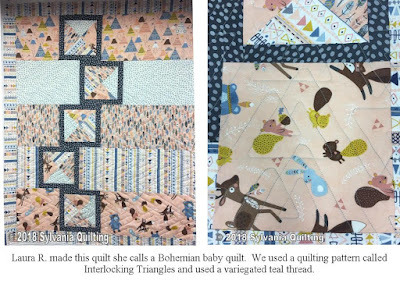 Long-arm Machine Quilting Services - We finish quilting your already made quilt tops by adding batting, backing and quilting them together. Whatever services we provide for you, be assured that your quilt will be handled and stitched with the same care, dedication and attention that I would put into one of my own quilts. I look forward to working with you and making you a life long client.